One of the most popular holidays in Russia is March 8, or International Women's Day. This holiday is celebrated in many countries (after all, it is international), but in Russia it is also a national holiday. The holiday appeared in the beginning of twentieth century (March 8, 1908) in New York, when thousands of women went to a rally and asked for the grant of suffrage to women. Already in 1910, Clara Zetkin (a German politician, an activist for women's rights) proposed to create an International Women's Day, when women can hold rallies and say about their difficulties and problems. Since 1911, this day has held in many European countries at the state level. In Russia, Women's Day appeared in 1914. In modern Russia this day is a day off (as a state holiday) with certain traditions. For example, on March 7, the day before the holiday, in the offices of companies the men's team congratulates women - they give flowers and symbolic gifts. In schools and universities, children congratulate their teachers - they also give flowers and gifts. And in schools and kindergartens before March 8 hold concerts where children (boys and girls) read poetry, show performances, sing songs, make postcards for their beloved mothers and grandmothers. As you can see, the traditions of this day have gone from revolutionary ideas and today in Russia it is just a celebration for women. The day when all women receive congratulations - mothers, grandmothers, colleagues, wives. By the way, in Russia there is Mama's day (last Sunday in November), but it is not so famous and popular. 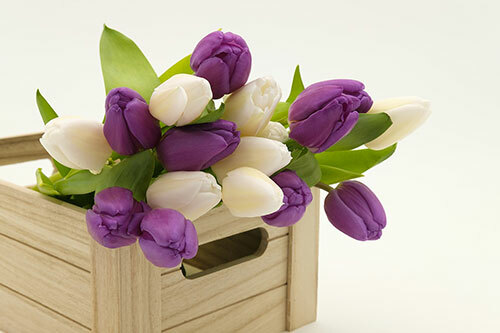 If you are in Russia, then you will notice how men buy flowers on March 6-8 (traditionally it is tulips). Many stores, as cosmetics, women's clothing, jewelry and household appliances for this holiday arrange promotions, sales and discounts.